The Mosaic Project is cross generational, cross cultural and 'cross genre' in nature, which is pertinent because jazz has increasingly pollinated, allowing it's language to metamorphose into something one group of people alone cannot claim. 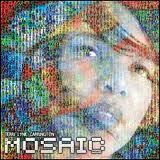 The Mosaic Project, set for release on July 19, 2011, assembles an all-female cast that includes Esperanza Spalding, Dee Dee Bridgewater, Dianne Reeves, Cassandra Wilson, Nona Hendryx, Gretchen Parlato and many others. Esperanza sung the percussive yet soaring "Unconditional Love," written by Geri Allen. Also featured on the album is Esperanza's song "Crayola," which appears just a couple tracks later.